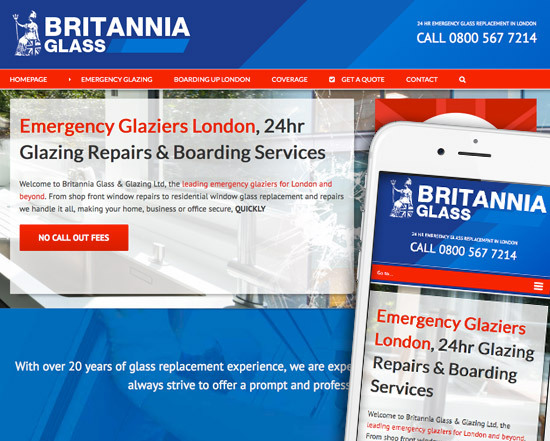 We have just completed this re-design of the Britannia Glass website which was struggling to get visitors and leads. With well over 300 pages of content careful thought was put into how to best re-structure this site in order to get new visitors. A coverage page with links to all post code areas was built in the site structure. It is now getting found for long tail searches eg: Glaziers SW1. This strategy is proving succesful and with further on page work we don’t see why the site cannot start to see very good results.